The proceeds from the first Bellevue Garden Tour on Friday, July 22, will support the Bellevue Library, which needs monetary support for improvements. The library lacks updated audio and visual materials as well as funding for children's literacy programs. A group of Bellevue residents have come together for the Friends of the Bellevue Library to initiate the first Bellevue Garden Tour fundraiser. Bellevue librarian Patty Gilman, who has been honored by the Lee Pesky Learning Center for her contributions to education, promotes an early literacy program for preschool and grade-school children in the south valley. The garden tour proceeds will also benefit Gilman's program. 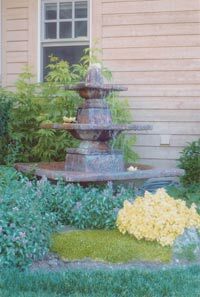 The tour will include eight Bellevue gardens starting at the Branching Out Nursery on Main Street and concluding at the Green Antelope Gallery, where there will be a raffle drawing for an original Sarah Long sculpture and a champagne and cupcake reception. The raffle will take place at 8 p.m. and the winner does not need to be present. Tickets are $5 and three tickets are $10. After the tour Mahoney's will offer a 10 percent discount with a tour ticket stub. The evening will end with a free screening at dusk of "The Secret Garden" at Bellevue Memorial Park. Garden tour tickets are $10 and children under 15 are free. Tickets are available at Isadora, Oak Street Café, Sun Valley Garden Center and the Bellevue Public Library. The tour will start at 4 p.m. at Branching Out Nursery and will end at 7 p.m. at the Green Antelope Gallery.